If you have a sweet tooth, today is your day! 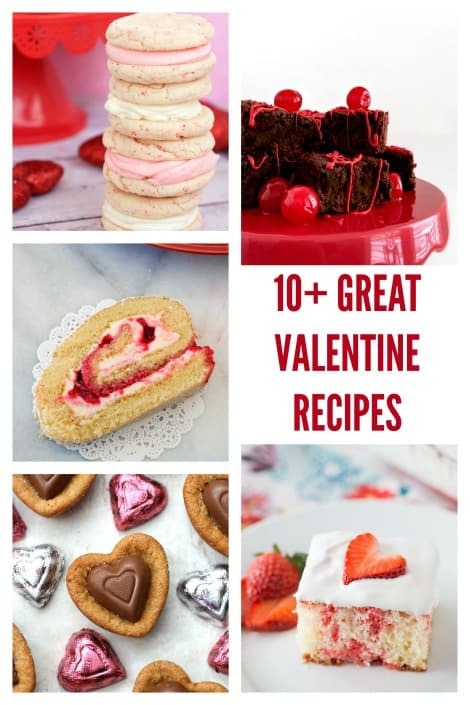 I’ve joined up with a group of talented bloggers to share our favorite Valentine’s Day recipes! 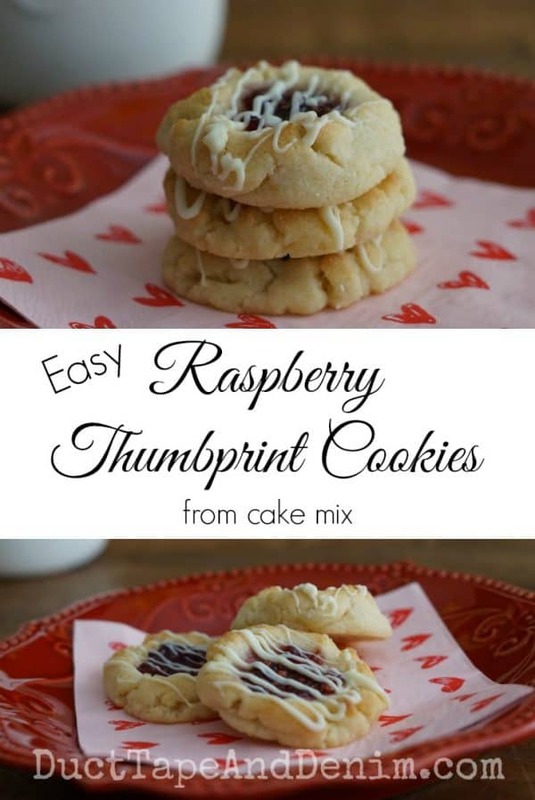 I’m sharing a super easy recipe that makes beautiful raspberry thumbprint cookies from cake mix! 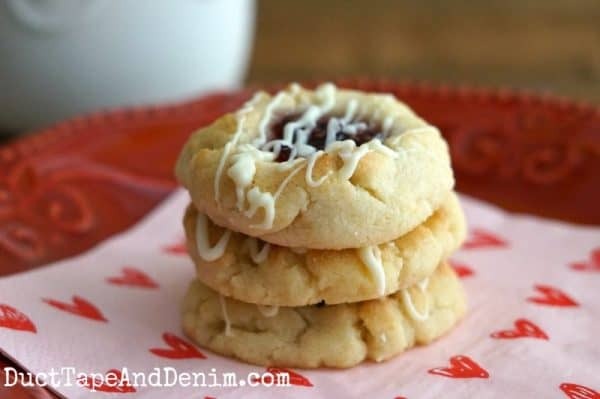 When my girls were young I would keep several boxes of cake mix in the pantry just in case we got a craving for cookies after the stores were closed. These cookies are pretty enough to serve for a tea or give as a gift. Mix together the cake mix, eggs, and vegetable oil. Use a 1 T scoop to measure the dough. Roll 1 T of dough into a ball, place on baking stone, and press your thumb in the center. Add about 1/2 teaspoon of the jam in the center. When the cookies are completely cooled melt white chocolate chips in the microwave and drizzle over the cookies. 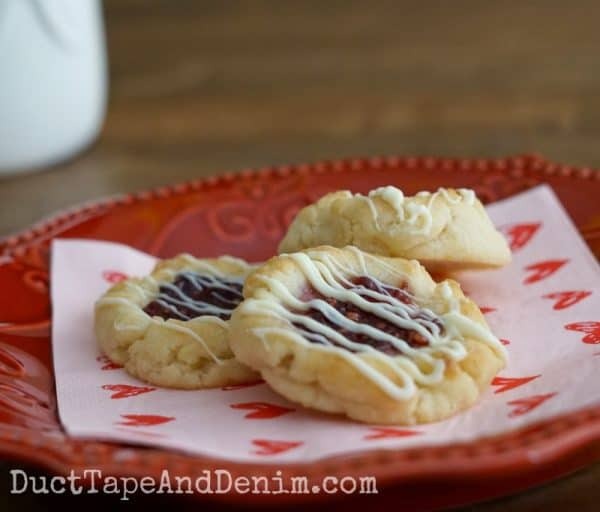 We have a “cookie secret” at our house so we NEVER burn our cookies — Pampered Chef baking stones! Since I started using these I have never burned a cookie! Plus they’re a lot easier to wash than my old baking sheets. This looks delicious! Thank you for sharing as part of the blog hop! Do you think these will still work well on a regular cookie sheet? Bake a little longer or shorter? They look so good! Thank you.